Russia’s halting attempts to build a next generation spacecraft have received a boost after a leading constructor announced that it has completed the design of a new prototype. But seasoned space watchers await specifics before popping their corks. ­“We have finished the design of the new spaceship. We took into consideration that the new craft has to be able to travel not only to the International Space Station (ISS), but also to the moon,” said Vitaly Lopota, the chief of RSC Energia, the Russian space industry’s primary spacecraft builder. 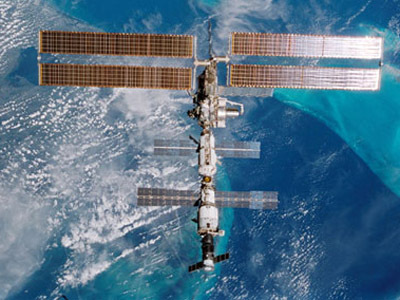 The proposed spacecraft is commonly known as PPTS (or Prospective Piloted Transport System) and RSC Energia won the tender to build it in 2009. Initially, 2015 was named as the date of the first test flight, but that was then shifted to 2018. Now, Lopota has brought the test date forward again. “We are currently working on the first full-size model. 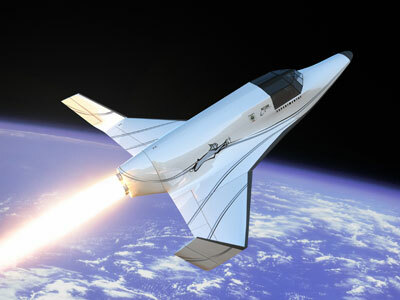 The first test flights should take place in 2017,” he announced during a press conference in Moscow. 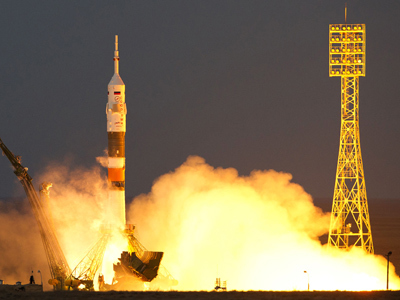 Currently, Roscosmos, Russia’s space agency, uses a modernized Soyuz spacecraft, a basic design that flew its first mission in 1967, to deliver cosmonauts to the ISS. On paper, PPTS sounds like a significant upgrade, although all design information is preliminary and has not been finalized by the designers. 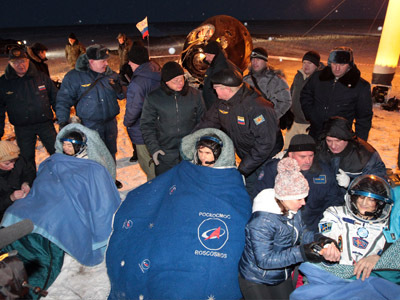 Soyuz replacements have been touted since the 1970s and yet the reliable, if dated craft keeps flying, as its replacements get towed off to the space museums. In the last decade alone, RSC Energia touted a cross-breed between a Soyuz and a Shuttle, called Kliper, that was supposedly going to become the main means of transport to the ISS by 2011. But when the European Space Agency refused to invest substantial funds, the project collapsed. Several designs have failed to get off the ground under the PPTS banner. The first tender in 2006 was abandoned, the 2009 design competition won by RSC Energia was meant to produce a proposal for the new craft two years ago. Orion, a similar NASA program to create a new type of manned spacecraft, has been attracting continuous funding since 2004, and is still not expected to carry manned flights earlier than the next decade. While Orion has received $5 billion already, and the program to create a rocket capable of reaching the moon could cost as much as 40$ billion at completion, the entire annual Roscosmos budget is just $4 billion. But, as the more established competitors dither, they may be missing out. 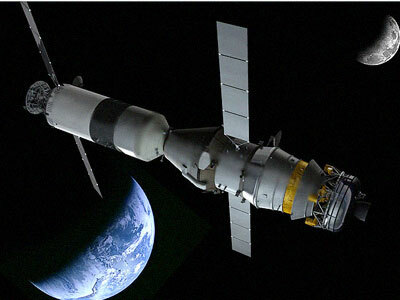 The Chinese government is building up an ambitious manned flight program that is moving from aging Soviet models, to developing next generation craft. And perhaps most impressively, the private Space X, a US company that has existed for a decade, is already supplying the ISS with its unmanned Dragon craft (at a fraction of the NASA cost) and is testing their suitability for human travel.